This is our new series, in which we will look into the history and present day of Finns and Finnish-Americans living in different states. Finns first arrived in Michigan’s Upper Peninsula after the Civil War, when a copper mining company recruited them from mines in Norway because of their reputation as hard workers. The Upper Peninsula was a major destination for Finns during the peak years of migration in the 19th century and the early decades of the 20th century. Several Upper Peninsula communities had large Finnish populations and Finnish churches, lodges, cooperative stores, and temperance societies. Ishpeming and Hancock, especially, were important nationally as Finnish cultural centers. In 1880, about 1,500 Finns lived in Keweenaw and Houghton counties. By 1930 there were nearly 75,000 Finns and their descendants, founding small towns with Finnish names like Nisula and Tapiola and Paavola. The region became the world's biggest producer of copper, and generated more mineral wealth than the California Gold Rush. It should also be noted that more Swedish-speaking Finns came to Michigan than any other state. They often assimilated into the Swedish communities, congregations and halls prior to the greater American assimilation. Consequently, they are harder to claim as Finns. Because of this, the real number of people with Finnish ancestry in Michigan is no doubt higher than recorded in the census records. Swede-Finns settled in the lower half of the Upper Peninsula of Michigan, as well Muskegon, Ludington, Brevort, Grayling, Grand Rapids, Roscommon, East Tawas, Detroit, Flint and Benton Harbor. They largely began as lumberjacks, or otherwise associated with the lumber industry in Michigan. The first Finnish speakers were employed in mining, later moving into the auto industry and farming. Calumetchigan is the “birthplace” of the Suomi Synod (Finnish Evangelical Lutheran Church in America) and the “birthplace” of the Finnish Apostolic Lutheran Church (first independent Laestadian congregation in the world). 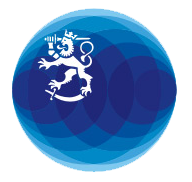 Suomi College was formed in part as training ground for Finnish speaking pastors, and its affiliated Finnish Book Concern, was the publishing house for Finnish language materials, in particular, catechisms, hymnals and Bibles. After WWI Finnish immigration was greatly limited due to quotas, but Finns still settle throughout Michigan. Today most new immigrants are either connected to one of Michigan’s many universities, or they have married an American. The five north westernmost counties of Michigan’s Upper Peninsula are the only counties in the United States in which Finns are the largest ethnic group, with approximately 35 percent of the residents claiming Finnish heritage in the most recent national census. Estimated number of Finns / Finnish-Americans living in the area: 50,000 in the Upper Peninsula Michigan – 68,203 in all of Michigan.